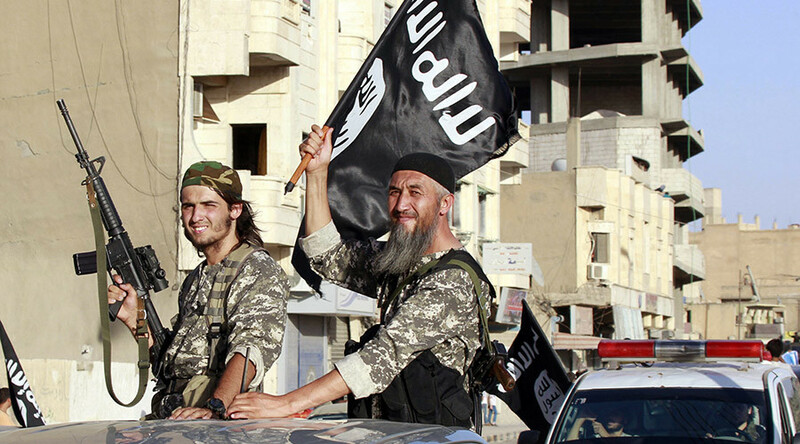 Saudi clerics call for jihad against Russia in Syria – to back ISIS? Dozens of Saudi Arabian clerics not officially affiliated with Riyadh have urged Muslims to support the fight of “holy warriors” against Syria’s government and its Iranian and Russian allies. The clerics are outraged by Russia’s bombing of Islamic State. Fifty-five Saudi Arabian ‘opposition’ clerics and academicians, including some prominent Islamists, have signed a joint online statement urging “true Muslims” to “give all moral, material, political and military” support to the fight against Syrian President Bashar Assad’s army as well as Iranian and Russian forces. The statement follows the commencement of daily Russian air raids in Syria targeting Islamic State (IS, formerly ISIS/ISIL) terrorists. Contrary to Riyadh’s public anti-ISIS stance, the clerics’ call appears to be portraying the militants as “defenders” of faith. “The holy warriors of Syria are defending the whole Islamic nation. Trust them and support them ... because if they are defeated, God forbid, it will be the turn of one Sunni country after another,” the call reads, as cited by Reuters. The group brands the Russian involvement as “an orthodox crusade” and calls on anti-Assad fighters to “unify their front” and stay in Syria. It also uses sectarian terms for Iran and the Shi’ite Alawite sect to which Assad belongs. “The Western-Russian coalition with the Safavids [Iran] and the Nusairis [Alawites] are making a real war against the Sunni people and their countries,” the text says. The sectarian statement runs contrary to the Saudi government’s rhetoric and the country’s law. Officially, Riyadh is doing all it can to prevent citizens from privately funding militants abroad and leaving the country to join the fighting in Syria. The long-lasting bloody conflict in Syria, which some view in the context of Sunni Muslim Saudi Arabia and Shi’ite Iran struggling for dominance in the region, has fueled sectarian sentiments. In March of 2014, invitations to join conflicts were outlawed in Saudi Arabia by a decree that put terrorist groups such as Islamic State and the Al-Qaeda-linked al-Nusra Front on the forbidden list. Anyone breaching the law faces a long prison term. Russia started its anti-IS operation in Syria last week following a request from President Bashar Assad. The strikes are aimed at providing air support to Syrian government troops, which have been failing to contain the spread of jihadist militants in the war-torn country. More than 3,000 militants, including IS terrorists, reportedly fled Syria following the commencement of the Russian campaign.